Polygon has published a lengthy new article detailing the history and future of the Sonic brand, and it contains several key contributions from big names such as Yuji Uekawa, Christian Whitehead, Al Nilsen and Takashi Iizuka, head of Sonic Team. It also comes with some very… peculiar looking art to accompany it. The article contains plenty of interesting quotes and discussions as it details in length the evolution and history of the Sonic brand, its popularity, where they’ve stumbled and what the plans are for the future. Big Red Button’s Bob Rafei also appears, lending some reflection on the critically panned Sonic Boom: Rise of Lyric. You can catch the full article here. It’s an extremely engaging read and we would highly recommend it to you, but for now let’s highlight some important details and quotes from several various iconic figures in Sonic’s past, present and future. Al Nilsen is up first, an employee of SEGA from 1989 to 1993 who helped to launch Sonic the Hedgehog 2 worldwide with an international campaign – the man behind “Sonic 2sday”. He discusses how Sonic has evolved, the legacy of Classic Sonic and how the story and cast of the franchise has evolved to “convoluted” levels. […] “Then the story started getting convoluted.” he continues. “If I was Sonic, I was probably having an identity crisis.” Nilsen thinks the series’ canon, or the “bible,” as he refers to it, needs to be “tightened up.” “You don’t need this cast of 8,000 characters,” he says. 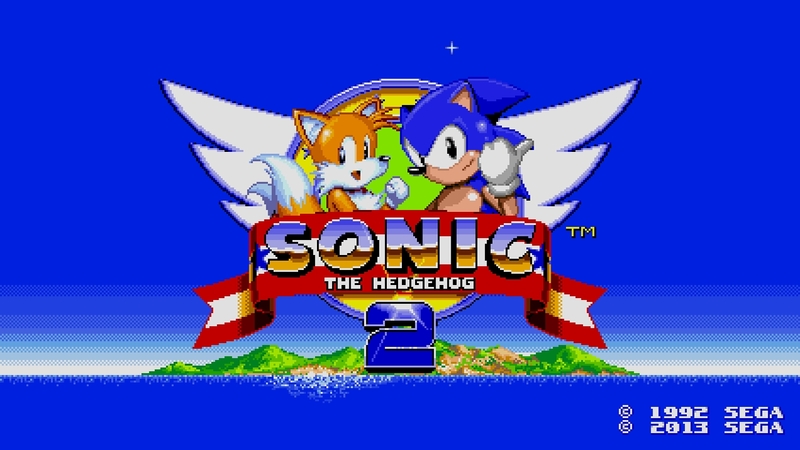 Sonic 2 remains the best selling title in the Sonic franchise. Yuji Uekawa follows suits when discussing the evolution to 3D, who was responsible for the “modern” Sonic design that we all know today. He touches upon how speed became intrinsically tied to the series before going on to discuss the reasons and influences behind the new look they created. Christian Whitehead continues the discussion on the evolution of the brand during the 3D transition. 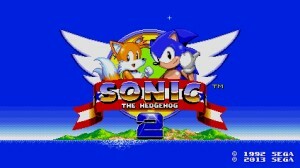 Whitehead was behind the remastered version of Sonic CD, Sonic the Hedgehog and Sonic the Hedgehog 2 for mobile devices, with CD releasing on consoles as well. He further reinforces the unnecessary additions to the cast being a significant issue in Sonic’s history. This is where Bob Rafei takes over, who discusses the development of the Sonic Boom brand. When the spin-off franchise was revealed in February 2014, Rafei says how it aimed to be “a fresh approach that will be at once both familiar and new”. However, upon on the release of the exclusive Wii U title, it was critically panned – and sold poorly to boot. Rafei reflects and reveals how it almost shut the studio down. Continuing, he praises SEGA for being bold enough to evolve its “grandfather character” while comparing to Nintendo who “stayed true to the Italian plumber formula”. He tackles the intent of BRB and challenges of working with SEGA and Sonic Team to create a western take on Sonic and the creative freedoms he had, stating he took “tremendous care”. Character personalities were a focus for the Boom franchise. Rafei acknowledges that Rise of Lyric may have been too ambitious for its own good and confirms they are no longer working with Sonic. He finishes with a discussion on the fanbase and their relationship with the character. “What I realized,” Rafei continues, “is that Sonic has a very complicated relationship to his fans and the industry. A lot of people feel that they are entitled to Sonic because of their growing up with him and the feelings they associate with him.” As fans grow older, he says, they have mixed feelings about who the character is. Iizuka comes in to discuss what lies ahead for Sonic, once again reaffirming the company’s new shift to focus on quality. This has been discussed in various interviews with employees of SEGA before, including CEO of SEGA Games Haruki Satomi who apologised to fans for “betraying” their trust. Iizuka wants the SEGA and Sonic Team logo on the Sonic packaging to represent a sign of quality. And then, what you’ve been waiting for – he then briefly touches on what kind of game Sonic Team has been building next to represent Sonic. There’s so much more tidbits and information to be found in the full interview, so make sure you check out the full thing over at Polygon, bad drawings and all. Are you excited to see the new direction Sonic is taking? We shall live and hope. On the subject of the character roster, I feel it’s far too late to be worrying about the amount of people within the cast for a number of reasons. For one, the main stays of the cast have been around for well over a decade now and they all have fanbases at this point. It’s a little too late to be pushing hard for the rending scissors at the moment. When you have a cast as large as Sonic’s (say all the people who were playable in Runners plus Dr. Eggman, Orbot, and Cubot) then what becomes important then is making sure you have the ability to use them to the best of your ability in a more competent and comfortably spaced out manner. If you’re going to have a ton of them playable in one game then that causes for a title “similar” to what Runners did with their gameplay as to keep it simple and have the diversity be about how well the game manages to feel different with their use of stages, music, and story. As for the story convolution… yeah, it did. That’s mostly due to intensely bad writing that didn’t know how to tighten the lore of the series up in a competent manner coupled with the fact that Shadow the Hedgehog and Sonic06 felt the need to just run with whatever they could to make what was happening seem more important then it actually was. All you really need to satisfy someone with the story is something that has a middle-grounded tone that makes it so the characters actually do things. Planning and tactical maneuvering can be really excited and fun to watch. That’s why the stuff on Prison Island was as exciting and cool as it was and it got that way without being pretentious and weird with it’s explanations about what was happening. Going in the exact opposite extreme by having them all stand around and see how long they can kill a joke isn’t the right way to fix it either. Just be fun and exciting and try to make us care without getting needlessly artsy. As for the SEGA seal of quality thing… I admire the ideal behind that but the damage is so deeply rooted into Sonic’s history at this point, it’s going to take a long line of really high quality games and a few good LONG years before anyone sees that logo and expects something great. It’s not going to be helped by continuously trying to encompass all the 20 years every anniversary either. I feel compelled to point out that alongside some 1 shot characters like Shade and Marine, Orbot and Cubot both debuted well after 2006. Sticks and the entire extended Boom cast are pretty recent as well. What part of this post is this addressing again? Is it the part where I said they stopped adding permanent additions to the cast after 2006? If so, then yeah, I forgot about Orbot and Cubot but I feel that kind of couples with the statement I made about most of the new additions as of recent being mostly new villains, which you don’t have to worry much about when it concerns playability. Ok, in all seriousness, this was a good read. The idea of Sonic being in a band with a girlfriend still cracks me up. I admire how Rafei isn’t bitter about the whole RoL debacle. Given how it apparently almost got the studio shut down and he’s no longer working on Sonic games (and thus no longer obligated to care about what Sega or Sonic Team thinks), it wouldn’t be unreasonable for him to go the spiteful route. But he didn’t. And that’s really cool. I’m excited for what the next game is gonna be. Its not going to be easy for Sonic Team to be synonymous with quality again, and it’ll take more than a year to do it, but you can’t deny their determination and hope for a better future. And so long as there is determination and hope, there is Sonic. I personally don’t mind the characters too much, though I can understand why it may have been a part of the problem that made the series so rocky over the years. However, I would not say the solution is to completely forget about all those characters and “start from scratch” altogether. Rather, I would just focus less on introducing any new characters from this point on and focus on strengthening the presence that’s already there. Give those characters purpose, use, meaning. They’re already diverse and fun enough, all that really needs work is their individual gameplay and use in a story. This doesn’t mean to cram all of them into whatever story you want, it means to just use a manageable amount at a time, in a way that benefits both the gameplay and the story of a game. As for the tease at the next game, it’s starting to sound more and more like what many would describe as a “Generations 2-ish” kind of game, or at least something that is supposed to be very explicit about celebrating the path the franchise has taken over this last quarter of a century. Call it a lack of imagination on my part, but I can’t think of any other way they could celebrate the last 25 years without doing something similar to Generations, if not just outright making a sequel to it. But then again maybe it’ll be like previous anniversary titles where it pays homages to the past while still largely being it’s own unique thing. Either way I’d be excited for either one. But I wouldn’t go as far as to say it is going to be some kind of “Sonic Adventure 3”, seeing as how the goal is to honor ALL of Sonic’s history rather than just continuing one part of it. Whatever they decide to do, let’s just hope that both the gameplay and the story are both solid for the first time in 8 long years! As far as the…questionable art is concerned, I’m not positively sure about this, but it kind of reminds me of some of the artwork done in previous Archie Sonic issues. The name of the artist eludes me at the moment, but the overly elongated and over-emphasized style on everyone is kind of taking me back to some previous issues. Could somebody check on that before they quote me on that though? I’m not as sure myself. At this point, Sonic Team hasn’t been able to create 3 games in a row that are great since the classics. The closest we got to that is 2 games in a row that are just filled to the brim with quality. Sonic Colors was great, Sonic Generations was great, then Lost World with all of its polish fell short. If whatever game comes out this year is good, then great, they are off to a good start. The next game will probably be good if we go with the Sonic Team pattern of quality as of late. Then after the first two, if we start getting up to 3, 4, and 5 good games consecutively, then Sonic Team will be on its way to being that mark of quality they want to be. They have to build their reputation back up with quality games over however many years it take for them to make the games. I believe that if they get up to 5 or 6 consecutively good games in a row, those who buy the game will get the first impression that the game will be good just based on the SEGA and Sonic Team logos alone because of their most recent prior works. I have no doubt that whatever comes out this year will be at least as good as Colors and Generations. Yah never know. The whole thing about showing the evolution of the franchise in the past 20 years thing could mean that they are going back to the Adventure formula, but with more modern production values which is great in my eyes. The game is either going to be entirely new, Sonic Generations 2, or Sonic Adventure 3/Adventure styled game without a doubt. I noticed the “20 years” thing too. I feel like it’s just a slip of the tongue, but I kind of hope it’s not. Last anniversary was very much a tribute to Classic Sonic, I feel like an emphasis on 3D Sonic would be pretty nice. I’m going to be honest here….I can’t see how new characters would provide such a problem. This is a new universe you guys were building since the 90’s. A world that was on the brink of a mechanical takeover by a mad scientist and a lone hedgehog that was responsible with saving all the critters of his home world from destruction. Tails was as natural a change as Knuckles and the many more characters we grew to love over the years later. It felt like they were fleshing out the universe this way. It was by making the world seem that there were new places to explore, new characters to meet, and new stories to tell….new adventures to go on. I guess I can understand the dramatic shift in the Adventure era for classic Sonic fans, since that was a HUMONGOUS turn of image for the blue blur. However let me make this clear. No matter what SEGA did over the course of the next decade, they still kept the soul and cool, edgy nature the series had held since the beginning INTACT! Boom destroys Sonic’s identity almost completely to me. It tries to be something that it isn’t, trending towards what’s popular, not sticking to its guns and fleshing itself out that way. Because of this, Boom, show and game alike, feel like its lost itself in this game of chase. Sonic is trying to catch an identity that can’t suit him. Cause its NOT him! I miss the way our characters used to be and I hope that SEGA isn’t afraid to drive themselves forward with the tone they had before for the series, making it better and better as they discussed right here. I’m a little frustrated by their comments towards quality though. For a company that is trying to sell their mascot as this big icon, this great franchise that anyone can join in and have fun, OF COURSE quality is the first thing you focus on! That’s common sense! I don’t want to sound like an ungrateful fan, but for crying out lout SEGA you make me feel that you truly DIDN’T care about the quality of your games for the years that you did! What kind of attitude is that? That’s not professional….hell that’s not even a GOOD attitude in GENERAL! Glad you’re putting quality on the front lines NOW, but please just let yourself go with this franchise. Let it fly like its supposed to, not be restricted in this static position its in. No matter what happens, Sonic has left too much on my soul for me to forget him. Whether I get this next game or not, I’ll be a fan of Sonic for perhaps the rest of my life. That much, I thank you for SEGA. I agree with your statment. I miss that edgy hedgehog that didn’t feel like a forced 30 year old trying to be hip. Sonic Unleashed is an example where they tried to put effort in Sonic. The reason is because they honestly thought it would be the last game of the series. In this occasion we got impressive story line, unique gameplay, and high quality. I know the werehog wasn’t that popular but it was original and had a fun aspect. This effort should be given to every Sonic game. This is what fans want! Not childish jokes and lousy gimmicks. Dude you’re absolutely RIGHT! Unleashed was the perfect example of Sonic evolving in Modern Times. He was still Sonic, but his style not only changed, but it stuck to himself, it didn’t act like someone else just to fit in. It was naturally cool because Sonic was HIM! That’s what made it cool. It was comfortable in its own skin. Unleashed was what SEGA should have ran with and they completely threw that out of the window. Its so irritating to see this company just throw all their fans under the bus and make the dumbest decisions imaginable. To top it all off, they hired the creator from “Happy Tree Friends”? I think his name is Pontac? Well he was never a fan of the Sonic series at all. He did not even play Sonic’s previous games like the adventure titles. He claimed in an interview that he did not know anything about Sonic’s backstory and looked up a few cutscenes on YouTube. This is the man in charge of Sonic since Colors…. big slap in the face to the Sonic fans. Lets hope they can make a decent game this year. Their excuse for Rise of Lyric is that “it’s too ambitious”? What ambition was shown in that game? It was boring, uncreative, and uninspired game that no on asked for. The problem with Sonic isn’t that he needs a fresh approach, it’s the fact that the gameplay is not consistent. It’s always changing insteas of adding on to the original formula. Why do you people feel the need to continuoulsy change Sonic? Instead bringing new fans, you are actually pushing away the old fans that brought you to where you are today. I understand the fanbase is mixed but that’s kind of your fault for not being consistent. You have fans that lean toward Classic Sonic or Modern Sonic. The last thing you need is another side of fans wanting Boom Sonic more than the others. Obviously you’ve got a hint of what the fans think of Sonic Boom after the failure of Rise of Lyric. Appeal to the fans you already have instead of changing in hopes of getting new ones. In my opinion, you should keep both modern and classic style Sonics while being true to each genre. Instead of mixing 2D and 3D gameplay, how about leave 2D to the classic style and 3D to the modern style. Both styled games should have high quality not rushed and unpolished. I’m counting on you guys 2016 to give us the Sonic experience we once loved. Yup, the new Sonic is not Sonic. It’s more of a parody of what Sonic was. It completely trashes not only Sonic’s reputation but almost all the characters… especially poor Knuckles. I wouldn’t excatly say it was uncreative in fact i think a lot of the concept art showed a lot of interesting designs and i was even excited for the direction of which sonic was going, i think it was great these creators were so ambitios, but it really feels like they don’t understand their fanbase, or there was a discomunication along the line. it’s not that we feel we have a right to sonic since we grow up with him. but more. we feel he shouldn’t be changed into a unlikable character, which is what boom did pretty much, giving them more character is a really nice idea, (like how they did with shadow in sa2) however the characters they gave them were so shallow, since there is no story or plot. so i really fail to see how or what they thought they were going to acomplish via doing this. concidering they call it ” too ambitious” i find it hard to take that seriously xD when there is no story present in the boom series. In other words more “no more characters” focus in a world that’s always growing but the cast always remain the same. Granted I enjoy the repeated emphasis on quality, at the cost of some realistic growth in Sonic’s world asides locations and villains? Not too pleased by that. I see no issue with it. The name of the game is Sonic, not “Sonic and Friends” or “Sonic: The Tale of Other Characters that Aren’t Sonic” which are what the Adventure games to 06 should be called. In most of those games you play as Sonic for at the maximum of one third of the game. I don’t like how the game titled “Sonic Adventure 2” basically stars Shadow the Hedgehog story-wise. I don’t like how the game titled “Sonic Heroes” has you playing as Sonic for, give or take, 1/12th of the game. I don’t like how the game titled “Sonic the Hedgehog” has 2 other hedgehogs that have more important stuff going on in their plots that Sonic himself does. Other characters can be there, but having them be mandatory does have them stealing the spotlight a majority of the time. The characters other than Sonic should be a background element that adds to the lore of the franchise without it being in your face more than the so called “main character” is. In other words “I demand solo-Sonic or F you”. Totally what I said. You’ve got it all figured out. Other characters being mandatory is unnecessary. Other characters adding to the franchises lore if fine. Having to play as 2, 3, 4, 5, or 9 other characters just so I can get to the final boss, which I play as Sonic, and the ending of the game is monotonous. In Sonic 3&k, you never have to play as any of the other characters to get to the ending. Having the other characters be mandatory is monotonous and does just serve to pad out the game to unnecessary lengths. Mario’s allowed to have a diverse cast of characters that largely don’t get in the way too much, I don’t see why it can’t apply to Sonic. You just have to use them correctly, not just avoid using or acknowledging them at all. It’s good to keep a focus on Sonic, but a Sonic without anyone to bounce off of (who isn’t Tails or Eggman for the billionth time) is a pretty dull one who would have little excuses to speak to anyone, unless it’s cracking more of those “brilliant” jokes that Gaff and Pontac keep writing for him. There’s smart ways to use everything you have without overusing it, you just have to have smart people making it happen. But in the meantime, we still have the Happy Tree Writers. Yyyyaaaaayyyyy……..
* cracking more of those “brilliant” jokes that Gaff and Pontac keep writing for him, TO HIMSELF. Suddenly that seems to be less “cool” and more pathetic. That’s not what I meant. I swear you guys didn’t read the second part of my comment. The dang characters can be there, but having them be mandatory to get to the ending of the game, where you are more than likely playing as Sonic, is monotonous and boring in some cases. That is all I was saying. I want Sonic to be able to interact with the wide variety of characters in the series, I was just saying that having them be a mandatory wall between you and the ending is really friggin stupid. Um, yeah, the problem with RoL wasn’t that it was different. The problem was that it was a game full of glitches with a poor quality and no effort put into presenting a new creative gameplay. Sheesh, does he really think RoL did poorly because it was too ambitious for its own good? But who knows, maybe they had much better plans but were under a lot of pressure? As long as I get my Wii U copy, no Boom attached. Fix the anniversary to 25th please. Oh, I was looking at the bolder part after that. Updated the wording. Dunno why Iizuka is talking 20 years and not 25 years, must have messed up when I was quoting him without realising. Oops! I need some proof to believe this rumor because some people can’t trust SEGA anymore. Yes yes a future Sonic title games, amazing sega I’m loving it Takashi lizuka thank you for bring & you to Sega & Sonic Team to you guys are the best at it! On the topic of characters… I am absolutely hoping that the words of Al and Christian don’t hold significance to the future plans of SEGA. Honestly, at this point, if they have really decided to just cut off the “8’000 characters”, then I am going to be pretty sad. And I know for a fact that I am not the only one. A sizable amount of the fanbase (even Classicists) are getting pretty sick of just Sonic, Tails, and Eggman… primarily, that is. Other characters, such as Amy and Knuckles, just don’t seem to be given any respect anymore. Whether that’s the writers’ decision or Iizuka’s, I do not know, but my point is that we’ve had that primary cast since Sonic Unleashed. 8 years now. In Sonic Unleashed, it was just fine and made sense, but at this point… it really looks like they’re throwing out anyone past Sonic the Hedgehog 2. I remember how excited many people (if you’ll believe it) were when Sonic Boom was announced, because we could FINALLY play as beloved characters such as Knuckles and Tails, albeit with a different spin. Other characters aren’t MANDATORY for me to love this game, but I won’t lie, it’s feeling really bland and basic. 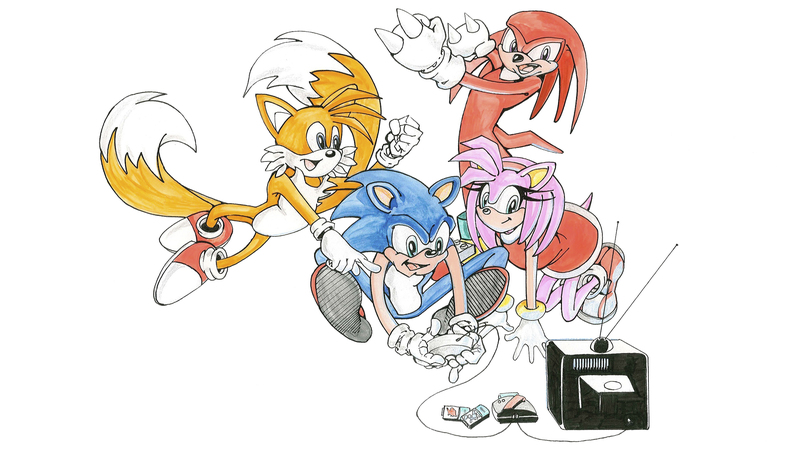 People love Shadow, Knuckles, Blaze, Silver, and tons of others, SEGA. As for Iizuka’s statement, I am pretty positive about it, but worried at the same time. + A focus on Sonic’s evolution could really mean a game that truly shows off how far the series can go. A game that can take all the great ideas of Sonic’s history and form a new experience with requested ideas. + This is just basic knowledge, but it’s nice to see how much he wants the series to succeed. … Although, it’s really sad how some of these things are worded. I feel like the game has had enough development time and care, for the time being. + He claimed “the last 20 years” not 25. Now, this could be a total goof… or, it could be a hint towards the game focusing a bit more on the good things in Modern Sonic. I would love that, because I feel we have had way too much Classic in the past 6 years. For everything different Sonic Lost World did, SEGA made pretty damn sure to call back to the Classics a lot. – This statement is also, as many noted, teetering on the concept of a Sonic Generations 2. While what matters is if the game is good or not, I can most certainly say that I am not interested in the idea of recreating what made 2011 special again. That would really kill the point of the first one, and it’d honestly feel somewhat lazy. – Iizuka claimed that Rise of Lyric was too different from the Sonic norm before going on to say his vision for this year. Now, it’s no secret that (glitches and rushed development aside) the different take on Sonic was panned by many from the start, and always will be…. But if this comment implies that Sonic is just going to do the same stuff over and over (again, Sonic, Tails, Eggman… Classic throwbacks.. that stuff), then I feel like the cool edge factor of the series is kind of undermined. The cool thing about Sonic was how many new and special adventures he went on. As much as I love them, Mega Man and Mario do pretty much the same thing every year (with a few exceptions on Mario’s part.) That’s not Sonic. It definitely looks like older Archie comics, around the Adventure era. Interesting how they mention one of the problems of the franchise being the “8000+ characters” while completely disregarding that said 8000+ characters would probably not be as much of a problem if they bothered with proper worldbuilding. In other words, if they actually gave those characters a reason to exist and a place in the world instead of just throwing them all over the place expecting people to like them just because they have totally cool powers and stuff, maybe they wouldn’t appear so forced/annoying. *sarcasm_mode_initiated* But of course, this is the Sonic franchise, so everything needs to be as vague and flimsy and open to interpretation as possible. Who needs clear understanding of how the world works and the places in it when we can just reset everything by the next game! Or not. Maybe. Who cares by this point. P.S. : I’m pretty sure this lack of worldbuilding is also why every show/comic based on Sonic has wildly different interpretations of what the world is like and the rules at play – they always have to build everything from the ground up. I read alot of info and i think some people can’t trust SEGA because they need to focus on a new take of sonic games. That was a nice read and all but anybody else bothered by the head image they chose for the article? Kinda disappointing they didn’t choose some amazing fanart or something. I disagree with a passion! The many recurring characters Sega has presented despite a few (Big the Cat and Omochao just to name a couple) are some of the most interesting and fun characters in gaming ever conceived! The problem is the lack of character development that absolutely IS possible despite the amount of characters and popular opinion and sometimes if not done correctly the games “FORCE” you to play them as opposed to keeping them “OPTIONAL” as some people have their most and least favorites in the bunch! Focus on Sonic, but expand the lore and appeal of the world around him and the characters he meets! 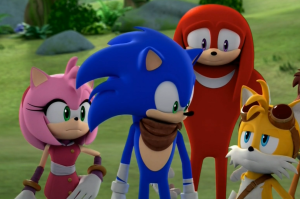 I find it funny how they thought sonic boom was “too ambitious” for everyone to accept, yet it has no story or plot.